Iain, have you worked out how to take Honda, and Siberia corners? Don’t think I’m getting another go . Will come back next year with a FJ or F Ford. Good to have you back on tenths Phil . Hope you find your camera battery, john875. If you get time to post after the meeting some photos would be great! I found a new one... Now going tomorrow (Sun) so hopefully will catch up with some TenTenthers. Pretty mild weather and hopefully dry so pretty ideal there. The geese have been the cause of safety cars at some Supercars events in the past. Good job I did not go out in the Cobra .He had a wheel break . Sometimes...... Hope car and driver OK? Yes both ok Mike . 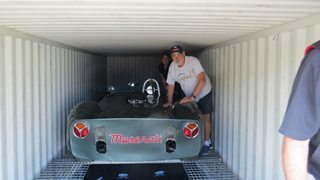 We just sorting out getting car back into container . Well I’m certainly envious if nobody else is! Spent a while reading though the entry list, and what an amazing variety of cars.... I see Andy N and Rhea are there again, with a FF this time. Hope their racing is going OK. 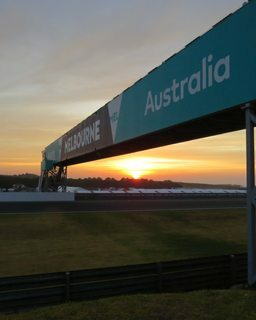 Sent you another Pic Mike of sunrise over the track . Passed your good wishes on to Rhea and Andy, Mike. They seem to like the place. Last race for the coming Cooper up in a hour. Great weekend gone too fast. 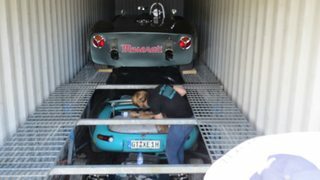 Just loading last car in container . Lost for words . Best time ever . Had a great day at the track, although too short, always a juggling act of trying to see each category race as well as all the other stuff like the pits and paddock, and the classic car display. 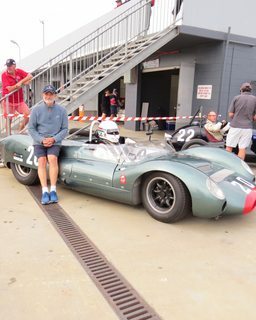 A highlight this year was the Bolwell Club having their national meet with something like 10% of all cars manufactured in attendance; or 60-something cars! Have just got home, still to get photos off the camera. I have a family event tomorrow, so should have some photos posted on Tuesday. Many more pics when I upload them.